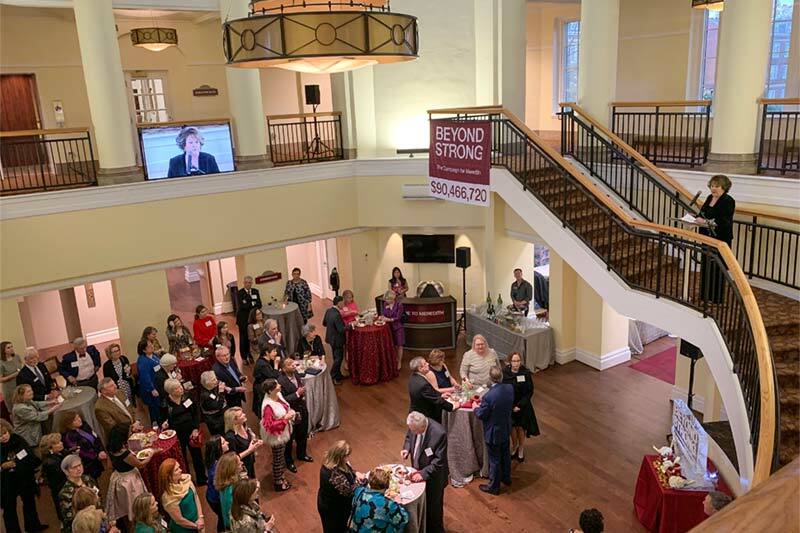 Beyond Strong, the largest fundraising campaign in the history of Meredith College, raised $90,466,720, surpassing the $75 million goal by more than $15 million. Thirty-two gifts of $1 million or more and 327 major gifts ($25,000 or more) were given during this Campaign. After President Allen’s speech, a video premiered highlighting the impact of the Campaign and a major donor sign was dedicated in front of Johnson Hall.